The Walt Disney World Swan and Dolphin Resort sits on Crescent Lake along with the Boardwalk, and the Yacht and Beach Clubs, offering easy, walkable access to both Epcot and Hollywood Studios. 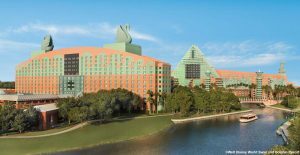 Find out the 9 reasons you might want to consider the Swan and Dolphin for your next Disney vacation. 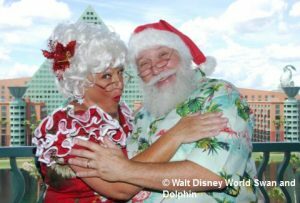 The Swan and Dolphin Resorts have just announced the return of several family-favorite holiday events and traditions to the resorts this holiday season. Learn about visits from Santa and Mrs. Claus, a Christmas light show, the Tree lighting event, a massive chocolate display, and how Santa delivers gifts to guests on December 24 here! 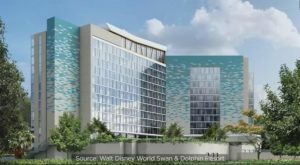 The Orlando Business Journal has reported that the owners of the Walt Disney World Swan and Dolphin are planning to build a new 349-room hotel tower on the current site of the Swan&apos;s tennis courts. According to OBJ, New York-based real estate firm Tishman and Metlife Investment Management have entered into an agreement with Walt Disney World to build the 14-story tower, which will break ground this fall and is expected to open in 2020.